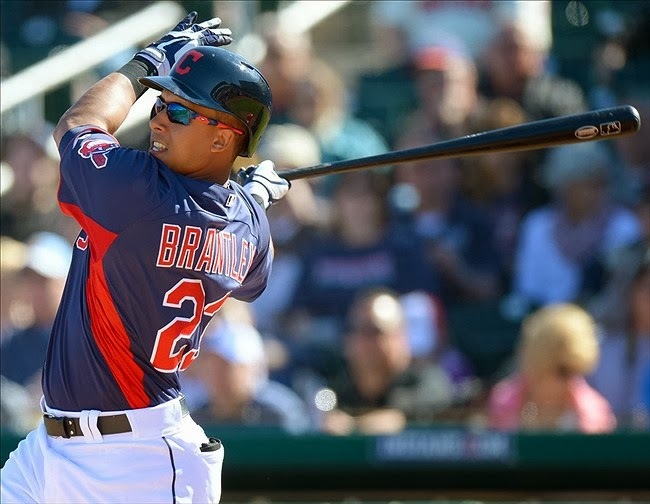 This is what we have all been waiting for, Indians fans. 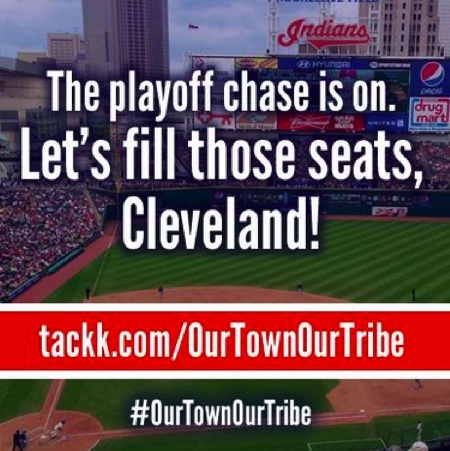 The Tribe are in the Playoff hunt and there are still empty seats at the ball park. I'm not about to bore you with all of the reasons fans give about not going. 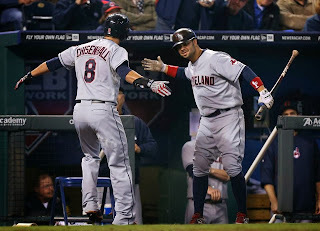 Let's focus on ten reasons to go to a Tribe game during their last regular season home stand. 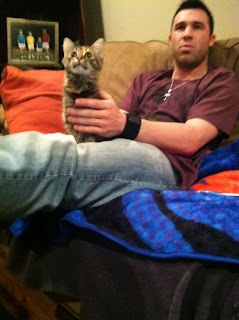 When I first met Swisher, I called him a hot dog. 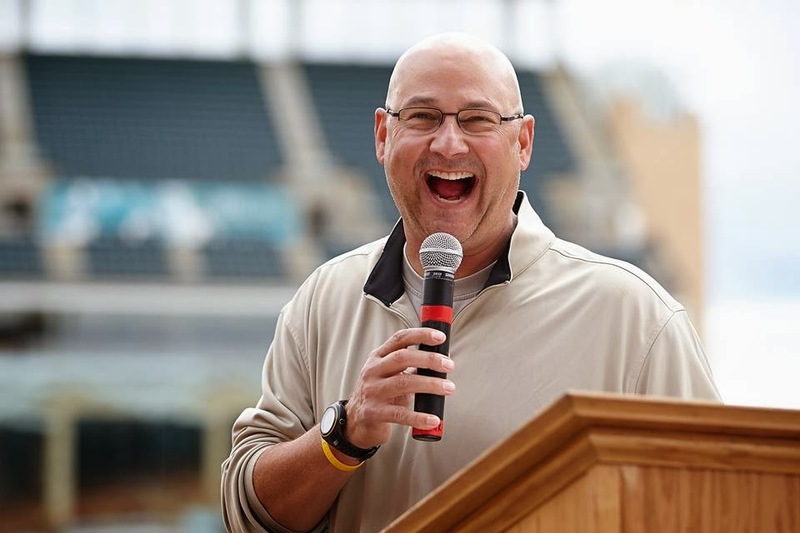 For him to be so fired up all the time, I imagine him shot gunning Five Hour Energy espressos. I have never seen anyone in all my life that loves their job as much as this guy. An amazing change for an athlete *wanting* to come to Cleveland. It doesn't hurt that he wrote a check for the fireworks at a game. And I'm certainly not mad that his bat is getting hot. What can't this guy do? He can catch. He can hit. 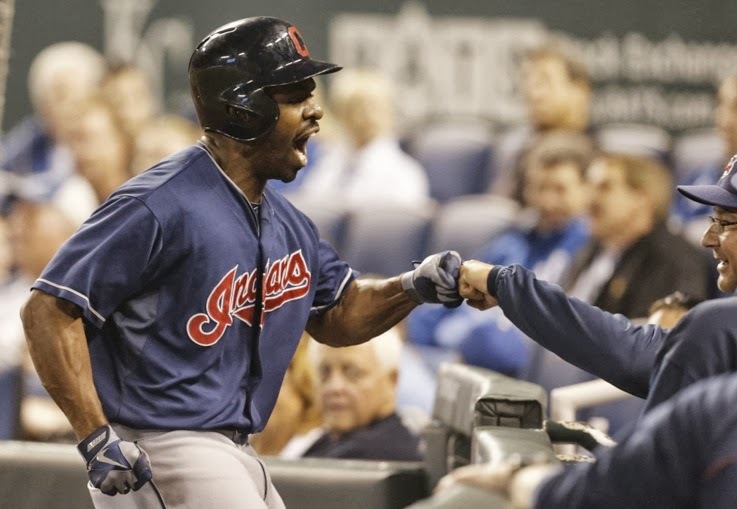 He is the first Indians player since 1999 that hit a triple and a home run after the 7th inning. He is the reason you do not go home early. Dr. Smooth to you. If I had a fantasy baseball team, I would include this guy. Maybe the Indians should buy him a cape. The way he leaps into the air to snag a homer out of the air is amazing. 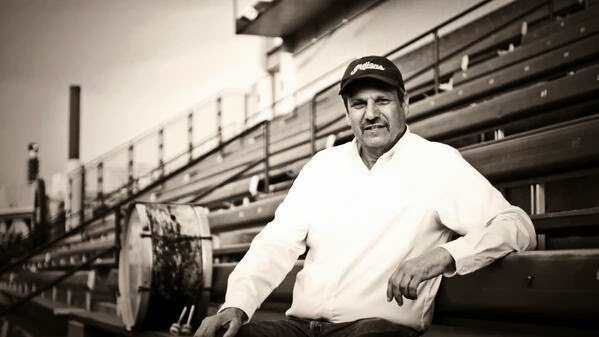 There is no question of my love for the most recognizable Indians fan out there. His drum leads the fan charge for cheers and chants. Going to a game and not hearing his drum makes me feel empty and like something is wrong. It's like forgetting one sock. The guy has been to almost every game since 1973. What's your excuse? 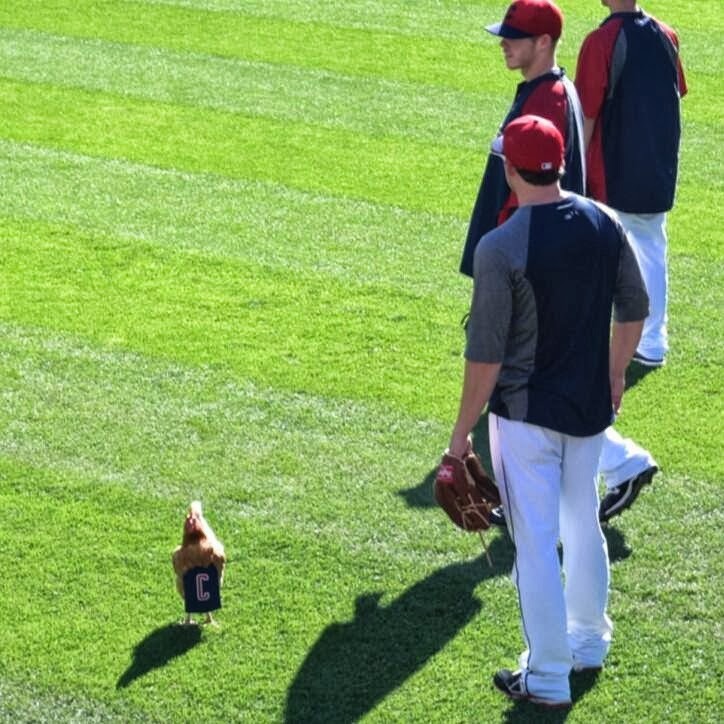 Justin Masterson came on to the field during batting practice with a chicken. Cody strutted around and motivated the team to beat the Orioles. These guys have a sense of humor. I like it. There are no grimaces or frowny faces when another guy gets a hit. While you may think it is a chick thing to say, it shows that they are not on their way to an angry implosion. Look what happened last year with Manny. Ugh. This skipper is leading the team in the right direction. If you are very lucky, he will get so fired up, he will get tossed out of the game. If you are very unlucky you will step in one of his bubble gum tobaccy wads. Terry has won before and knows what it takes to be a champion. I like that. Ok, look, if you buy a ticket to the last home stand, you can use the stub to get in FREE to the Great Lakes Science Center or the Greater Cleveland Aquarium. Great Lakes Science Center - One general admission ticket for each Tribe ticket presented. Offer expires November 30 2013. Not valid with any other offer or discount. Greater Cleveland Aquarium - One ticket for each Tribe ticket presented. Offer expires November 27, 2013. Not valid with any other offer or discount. Don't be all angry. 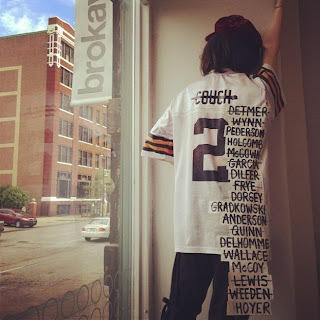 I love the Browns too, but right now, well, let's face it, they are pretty poopy. 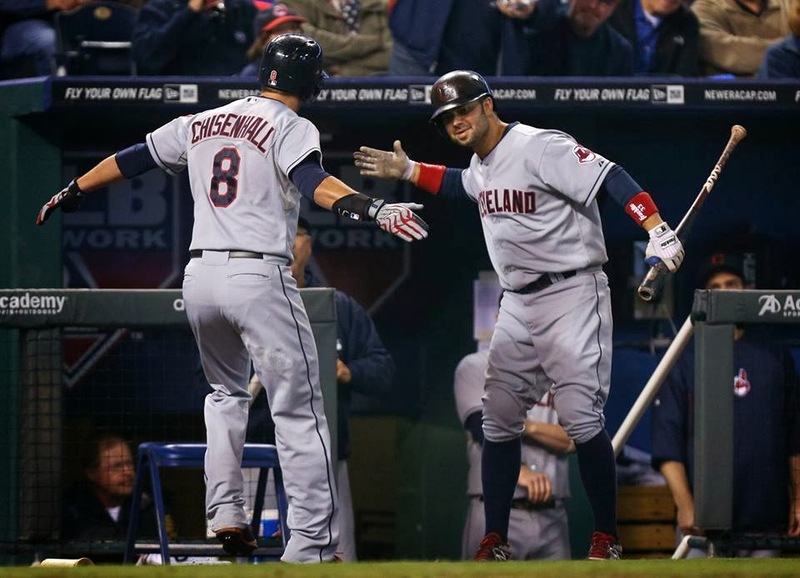 The Indians are in the playoff hunt, a Wild Card spot in their grasp. We haven't seen this is a long time kids. Enjoy it and dvr the Browns game. We have the rest of the football season to look forward to. This is do or die for the Tribe and what we have whined and griped about. We have it. Let's show the world we deserve nice things and support our team. 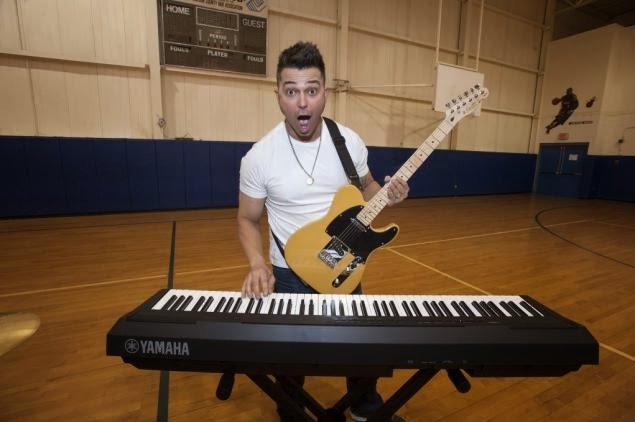 Besides being an All-Star, a hard playing hit maker? He looks adorable with this kitten. What do you think? 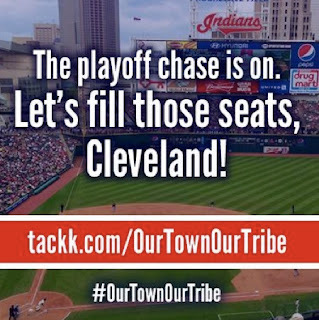 What are your reasons for going to a Tribe game? Thanks so much for this post. Being a lifelong Indians fan, this article was something I needed. Thank you! If nothing else, the free admission to the Aquarium is worth it! Go Tribe! Appreciate seeing articles like this. I'm fighting the fight on Facebook/Twitter. I envy your tag of "...a lifelong Cleveland fan that finally made it back..." I live in Cincinnati with my wife and would love to end up in CLE again permanently someday. Bought my Wild Card game tickets today. Go tribe! Jeff, I didn't think I would ever make it back. Glad to see you were able to get Wild Card tickets! Go Tribe!